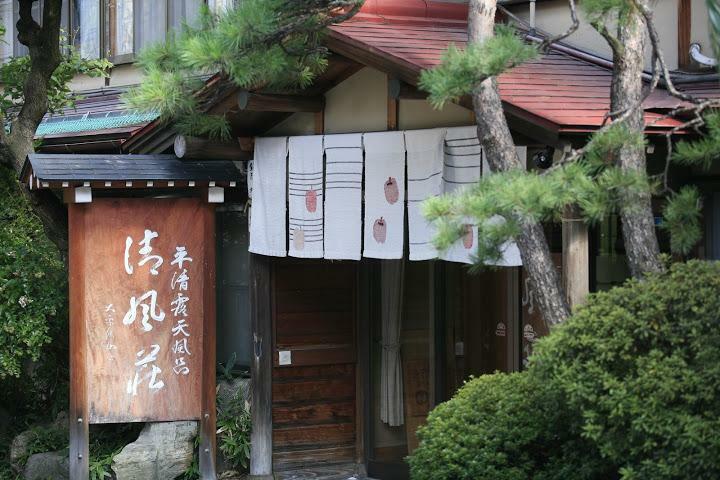 Family-run Traditional Ryokan 2-min from Yudanaka Station with Private Onsen Bath and WiFi. A quick 2 min walk from Yudanaka Station and convenient for Jigokudani Wild Monkey Park (the Snow Monkeys) as well as buses for Shiga Kogen and (in winter) Ryuo ski area. All guestrooms are Japanese (tatami mat) style and have free WiFi. Seifuso also boasts a large outdoor onsen bath as well as one that can be reserved privately. From Shinshu-Nakano IC, via Route 292, 15 mi. Uotoshi Ryokan in Yudanaka : Ryokan with a Kyudo (Japanese Archery) Range. Shimaya Ryokan : Renowned Heartfelt Friendly Service Proudly Providing True Japanese Ryokan Hospitality. Ryokan Biyu no Yado : Located in the heart of Yudanaka Onsen, Convenient to the Snow Monkeys. Kokuya in Shibu Onsen : Sukiya (Tea House)-Style Ryokan Founded 400 Years Ago, Close to Jigokudani Wild Monkey Park. Soba Agare-ya : Stone-milled Soba Eaten Around a Hearth. Cafe Waraku : Pasta & Pancakes in a 'Kura' Storehouse. Try Your Hand at Kyudo (Japanese Archery) : Experience Kyudo, Japan’s Spiritual Version of Archery. Onsen-Hopping at Shibu Onsen : Soak in Shibu Onsen’s 9 Public Baths for Good Luck. Nakano Clay Doll Painting : Paint Your Own Artistic Nakano Clay Doll. Obuse's Half Marathon : Quirky Half-Marathon in the Quaint Town of Obuse.